Whether you have SGLI, VGLI or a USBA group life insurance plan, an end-of-year life insurance review should be part of every military family’s annual financial planning. It may be one of the best holiday gifts you give your family. Here’s why. There’s a good chance you’ve had some changes in your life since you first got your military life insurance. A change in any one of following could call for a change in the life insurance protecting your loved ones. If you’ve recently added a new family member, you may need to increase your life insurance. If you were to die unexpectedly, your paycheck would stop and your family would need money to help cover daily living expenses as well as future plans such as college. If you recently got married, you may need to adjust your veterans life insurance since you and your new spouse now depend on each other’s income. If you’ve divorced, your coverage may need adjusting because of changes in your personal responsibilities. Call us to discuss your situation at 1-877-297-9235. If you recently married, you may need to update your veterans’ life insurance beneficiary. On the flip side, getting divorced may mean removing your former spouse as your beneficiary. It’s also good to periodically verify your beneficiary’s current address. You can update your USBA life insurance beneficiary information by calling 1-800-821-7912. 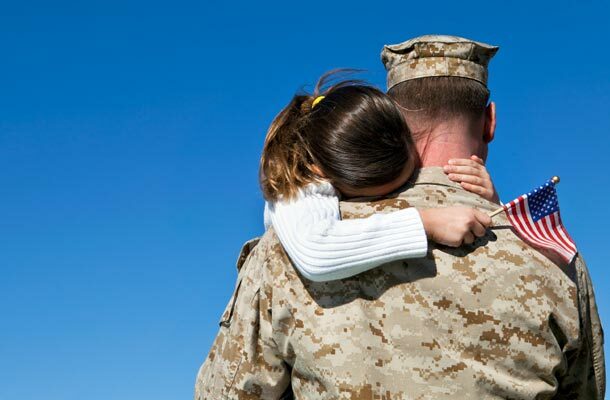 Changes affecting your health can also affect your veterans’ life insurance—in a good way. For example, if you’ve stopped using tobacco since you originally took out life insurance, you may qualify for lower rates as a non-tobacco-user. Give USBA a call at 1-800-821-7912 to find out. If you recently became a new homeowner, congratulations! Now it’s time to consider what would happen if you died unexpectedly and your family was left with mortgage payments. Life insurance helps provide families with financial stability after losing a loved one. Having enough insurance benefits to help cover mortgage payments can provide peace of mind. Since work often slows down around the holidays, December may be a convenient time to review your military life insurance coverage. Doing this annual review is a good idea for every service member—whether currently serving, particularly if facing a deployment, transitioning, left the military or retired. If you’d like help or have questions, contact our friendly USBA Member Support Team or trained product specialists. We’re here to serve you.